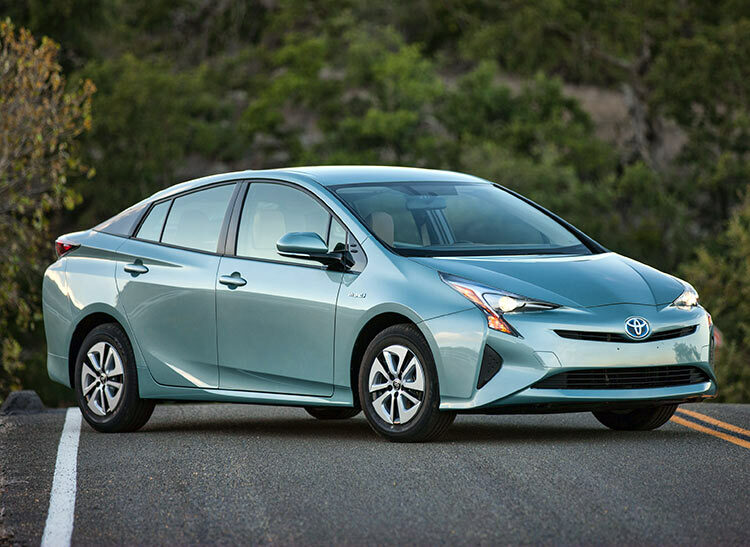 How plug-in sales performed: The Toyota Prius Prime led U.S. plug-in vehicle sales for the second month in a row, beating the Chevy Volt 1,908 units sold over 1,817, respectively. The Volt barely nudged out the Tesla Model X, which came in at an estimated 1,800 units sold last month, according to HybridCars. The Model X beat the Model S, with the Model S coming in at about 1,700 units sold. All of the top selling vehicles were up from the previous month with the Model X leading the pack by doubling sales over April. Both Tesla models and the Chevy Volt and Bolt were up over April and over May 2016. Plug-in hybrids did very well overall compared to last month and one year ago. Hybrid vehicles also saw a good month with May sales up 9% over April and 10.4% over May 2016. The Toyota Prius beat the Ford Fusion Hybrid in sales during May. Waymo self-driving trucks: Alphabet’s Waymo autonomous vehicle division is testing out its self-driving technology on a Class 8 heavy-duty Peterbilt truck. Testing has been taking place on a private test track in California. Highway testing is to be conducted later this year in Arizona, the company said. This is taking place as Waymo continues its legal battle with Uber over alleged intellectual property theft used in the Otto autonomous truck startup that Uber had acquired. Now Waymo is getting into trucking its own way. “We’re taking our eight years of experience in building self-driving hardware and software and conducting a technical exploration into how our technology can integrate into a truck,” said the company in a statement. Opel Ampera-e in Vatican City: Pope Francis, who does believe climate change is real, has accepted the keys to a new Opel Ampera-e (aka Chevy Bolt). Opel CEO Karl-Thomas Neumann delivered the all-electric sedan, which is contributing to Vatican City’s goal to become the first carbon free country in the world through the use of electric mobility and renewable energy. “We are proud that we as Opel can contribute to the ambitious goals of the Vatican City. Our new Ampera-e will make electric mobility feasible for everyday use without any compromises,” said Neumann. Battle over biofuels: Conflict and confusion over biofuel blends in gasoline – and who will do the blending – continue to shake up Washington. Renewable Fuels Association President Bob Dineen told Reuters last week that Carl Icahn, an oil industry billionaire and advisor to the Trump administration, had told Dineen that the administration would be taking a favorable position for refiners such as corn ethanol producers. 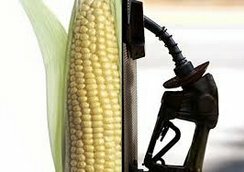 The fuel blending of about 10% ethanol to gasoline would be sent down the supply chain to gasoline marketers through an executive order by the president, Dineen said. Icahn and the White House later denied this was said to Dineen. Biofuel groups and producers have been upset that Icahn has been playing this role for the White House. The oil executive demanded during the election campaign that the obligation and costs should go to fuel blenders and not to oil companies and their supply chain partners. Several biofuel companies have also been upset with RFA for taking what had appeared to be a position opposing their stance on the matter. As of Monday, oil refiners including Valero Energy Corp. and CVR Energy Inc. (in which Icahn owns a majority stake) currently have to show environmental regulators they are meeting annual mandates; they’ve urged the federal government to push this compliance further downstream to fuel blenders and integrated oil companies. The White House says it’s taking this request under review. In other related news, U.S. ethanol production set a new record of 15.33 billion gallons in 2016, according to data from the U.S. Energy Information Administration (EIA). The EIA data showed that the average gallon of gasoline likely contained slightly more than 10.0% ethanol in 2016. 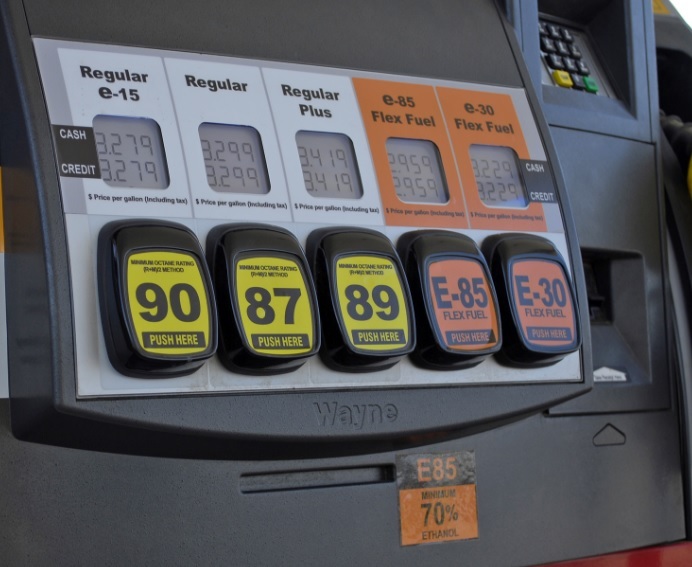 The American Petroleum Institute (API) estimates that Environmental Protection Agency rules on 2017 biofuel volumes will put the ethanol-to-gasoline ratio at 10.4%, higher than the 9.7% ration recommended by the oil industry association. Green car sales in February: Sales of hybrid and plug-in vehicles were up sizably from January in the usual seasonal sales pattern, and both categories beat the overall market according to HybridCar’s Dashboard. Total light-duty vehicles sales were down 1.1% from February 2016, but hybrids saw an increase of 16.3% and plug-ins saw a leap of 45.12% over the previous year. The Chevy Bolt continued to do well, finishing fifth for all plug-in electrified vehicles sold in the U.S. during February. The Chevy Volt had another leading month, finishing in first place with 1,820 units sold; that compares with the No. 2 Tesla Model S, finishing at about 1,700 units sold. For hybrid vehicles, the Toyota Prius Liftback took its first position back from the Ford Fusion Hybrid but both vehicles have sold at nearly the same totals so far in 2017. EPA likely to issue revised fuel economy: The U.S. Environmental Protection Agency is expected to reverse course this week on the 2022-25 phase of the fuel economy and emissions standards. The unexpected decision made by the agency at the very end of the Obama administration to approve the proposal and cut short the public comment period has been a source of tension with automaker executives and Washington officials. Last week, auto trade groups representing Ford, General Motors, Honda, Toyota, Volkswagen, and others asked recently approved EPA Administrator Scott Pruitt to withdraw the Obama administration’s decision to finalize the rule in January. That had cut short the timing for giving public comments, which was originally supposed to go until April 2018. They would also like to see the rule become more favorable to automakers than what was finalized under the Obama administration. The EPA notice coming out soon is expected to state that the agency will work in tandem with the U.S. Transportation Department to set consistent standards in the ruling, a source said. 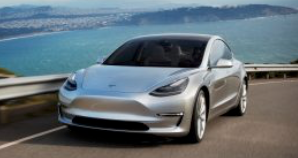 Trouble keeping Tesla’s talent: Pressure to get the Tesla Model 3 out on time has led to tough working conditions at the company – and exodus of management. CFO Jason Wheeler’s departure, just 15 months after he joined Tesla from Google, will be the latest in a round of executives leaving the company. Former execs speaking confidentially said it has to do with long work hours prepping for high-volume production and a tense working environment that reflects the persona of CEO Elon Musk. Of course, setting up shop in Silicon Valley is known to run the risk of high-churnover rate. A Tesla spokesman said the company’s attrition rate was below average among technology companies. What will happen to Ampera-e? : The future of the Opel Amera-e, built on the Chevrolet Bolt platform, is up in the air now that General Motors has sold its stake in the Opel/Vauxhall subsidiary to French automaker PSA Group. The $2.3 billion dollar sale will make PSA the second-largest automaker in Europe. PSA will gain intellectual property licenses from GM as vehicles transition over to PSA platforms. It may be that the originally planned launch of the Bolt as the Ampera-e in Europe will stick to that plan and roll out later this year. Green Car Congress reports that GM and PSA expect they will collaborate on further deployment of electrification technologies. PSA may also source long-term supply of fuel cell systems from the GM/Honda joint venture. Maven lengthens sharing time: General Motors’ Maven carsharing division has launched a four-week rental plan through a program its calling Maven Reserve; that adds to its previous longest rentals by 24 days. Carsharing members in Los Angeles and San Francisco can now schedule rental of a Chevrolet Volt or a Chevrolet Tahoe for an hourly, daily, or monthly fee, the company said on Friday. Markets being aimed at include entertainment industry people in L.A. and entrepreneurs in San Francisco. It’s expected to expand later to other markets. Workplace charging in NYC: Calstart yesterday launched “Charge to Work,” a first-of-its-kind electric vehicle workplace charging initiative to increase the adoption of EVs in the New York City area. 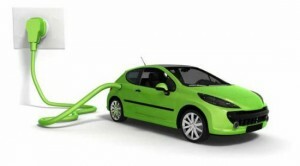 It’s a three-year marketing and outreach campaign seeking to bring support from over 100 businesses that will encourage their employees to replace their conventional gasoline-engine vehicles with clean and efficient EVs. Announced by New York Governor Andrew Cuomo, Charge to Work supports the governor’s Charge NY program, which is accelerating the growth of the electric vehicle market in New York State through education, research, consumer outreach and financial support for the installation of charging stations across New York. The goal is to spur 450 electric vehicles (EVs) and the installation of 132 Level 2 EV charging ports. 2,150 PHEV pickups sold: Workhorse Group Inc. is now working with Clean Fuels Ohio to bring 500 units of the W-15 Plug-In Electric Pickup trucks to Ohio-based fleets. The company says that, overall, it has received Letters of Intent for 2,150 units of its upcoming plug-in hybrid pickups. The company has received LOIs from Duke Energy, Portland General Electric, the City of Orlando, Southern California Public Power Authority, Clean Fuels Ohio, and one other utility. The company currently builds medium-duty PHEV work vans for several fleet companies including FedEx, Penske, UPS, Ryder, DHL, USPS, and more. Lucid Air details: During a recent test drive, startup Lucid Motors revealed more details on its upcoming luxury electric car, the Lucid Air. The starting price is $165,000 for the Launch Edition, in which 255 units will be made in 2019. That one gets a 130 kWh battery pack that can carry the car about 400 miles. After that, the Air will see production scaled up to build a cheaper edition. 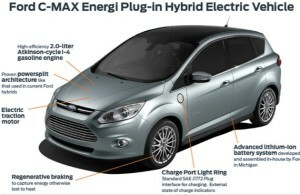 That one will have a 100 kWh battery with about 300 miles of range. Before any of these electric cars roll out, the Lucid will have to put in place its $700 million production plant in Casa Grande, Ariz., which is slated to start production in 2018. EV sales up 59%: Sales of battery electric and plug-in hybrid vehicles in July shot up about 59% over a year ago, with the Chevy Volt leading the pack, according to HybridCars.com’s Dashboard. 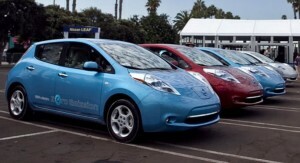 EV sales were up 3.7% over June. 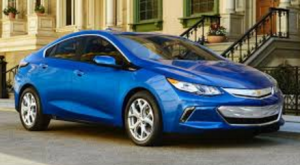 The Volt sold 2,406 units in the U.S. in July – 24.2% over June and 83.2% over July 2015. It only had a slight lead over the Tesla Model S, which was estimated to have sold 2,400 units in that month. The Tesla Model X estimate came in at third with 1,500 sold, but that was down 25% from the previous month. The BMW i3 had a leap in sales over June with 1,479 sold – 143.3% over June and 58.2% over the previous year. Hybrid sales saw a gain over June, up 17.8%, but were down 8.5% over June 2015. The Toyota RAV4 hybrid was up about 25% over June, and the Ford Fusion Hybrid has been doing very well with 38.4% over June and 63.1% over July 2015. Building Karmas in China: Wanxiang Group, the owner of Karma Automotive, has applied for a license in China to build plug-in hybrids on the Fisker Karma platform. The Chinese auto parts supplier is one of several non-automakers entering the electric car market in China as the government offers manufacturers incentives for building the cars and to consumers for buying them under the “new-energy vehicles” plan. In the U.S., Karma Automotive is setting up a marketing campaign modeled after Tesla’s corporate-owned store model and Fisker Automotive’s previous concept of creating a network of luxury franchised dealers. Starting in September in Orange County, Calif., with the launch of the Revero four-dour coupe, Karma will show the first of its “brand experience centers” similar to a Tesla retail store. 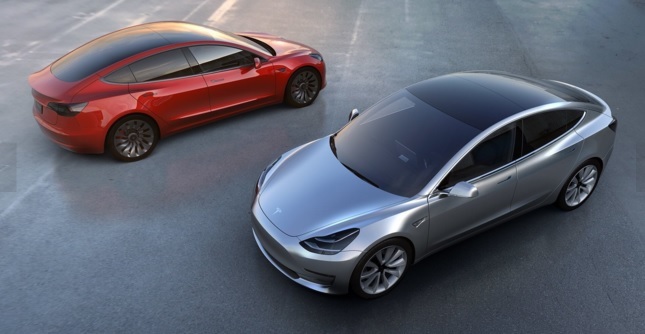 Tesla Motors quarterly report: Tesla Motors Inc. reported its 13th straight quarterly loss to shareholders. Revenue shot up 33% during the quarter ending June 30 to $1.27 billion from rising sales of its Model S and Model X. The cost of ramping up production has taken its toll, and delivery has been behind schedule. Tesla reported last month that it had missed its delivery target for the second consecutive quarter, raising doubts that it would hit its annual target. The company’s net loss widened to $293.2 million in the second quarter, from $184.2 million a year earlier. 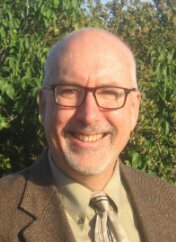 Clean transportation growth in California: A new Calstart report indicates that California’s climate and energy policies are not only helping to protect the environment and improve air quality, but are also helping to accelerate growth of the clean transportation technology industry in the state. The report profiles the development of a burgeoning manufacturing sector that is producing zero- and near-zero emission light, medium and heavy duty vehicles, as well as clean fuels, engines, vehicle components, and new mobility services. GNA supports sustainability at Port of LA: Los Angeles Mayor Eric Garcetti last month announced the formation of a new advisory board to help reduce carbon emissions and guide sustainable growth at the Port of Los Angeles. Gladstein, Neandross & Associates (GNA) worked with the Port and the Mayor’s office to identify, invite and confirm participation of a diverse collection of committee members including, environmental, labor, industry, government, and community leaders. The 10-member Sustainable Freight Advisory Committee will work to advance sustainable policy and expand the use of zero-emission technology at the largest container port in the nation. CAR study on urban mobility: The Center for Automotive Research released a report at the Management Briefing Seminars concluding that ride hailing services such as Uber and Lyft could transform worldwide transportation, but don’t expect car sales and transportation to change dramatically in the U.S. Millennials and some baby boomers in U.S. cities are proving to be early adopters for services such as carsharing, ride-hailing/ridesharing and even bike-sharing, CAR says. But Americans in less densely populated suburbs and rural areas will continue to rely on traditional car ownership. CAR forecasts carsharing programs will attract 3.8 million users and nearly 51,000 vehicles in 2021, up from 1.6 million users in 2014. What GM thinks about shared rides: General Motors sees demand for ridesharing and carsharing growing 95% in the next two years, Julia Steyn, GM’s vice president of urban mobility programs said at the CAR Management Briefing Seminars in Traverse City, Mich. Steyn said customers of Maven, GM’s personal mobility brand, have driven more than five million miles since the its January launch with acceptance from customers going strong. “The whole idea of owning a car, parking it for $1,000 a month and letting it sit there 90 percent of the time is just ludicrous,” Steyn said.